MobilVox is proud to offer professional consulting, technical support, and training services for Apache Lucene. Lucene offers the bare essentials in providing an enterprise search solution; however, scalability, document parsing, categorizations, tagging, security, and other features need to be implemented by an outside source. Let Mobilvox take the role in providing your organization with the limitless knowledge of open source for your future search solutions. MobilVox's expertise in the open-source search engine, Apache Lucene, arose through the development of our own enterprise search solution, IRIS, the Intelligent Retrieval Information System. 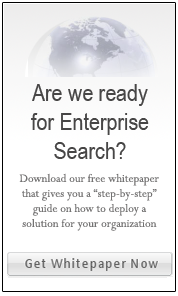 To see how we have extended Lucene into a full and customizable enterprise search solution you may demo the applications by visiting http://www.irissearch.net. MobilVox consulting services offer customizable support that assists customers who need a search solution either by: 1. Using a custom version of the MobilVox Network IRIS; 2. By helping your developers create it from scratch; 3. Using our robust and tested libraries built on Lucene. Our consulting services are tailored to your exact specifications and include the early stage evaluation, requirements gathering, and as well as the diagnostic evaluation of existing services. This includes adding more features to the application or making it scale better to achieve high performance. For more information about the consulting services, please click here. Customers who are experiencing problems with an existing Lucene solution will benefit from our technical support packages. The packages allow customers to access experts who have developed many different Lucene solutions. We offer two levels of support for technical support: Basic and Professional. For more information about technical support, please click here. MobilVox offers training services to teach the best practices in creating a robust and scalable solution. The training services will quickly prepare developers while requiring less time and money than traditional, self-taught methods. The training services are offered as Virtual classes and On-site classes. For more information about training services, please click here. In addition to the services above, MobilVox offers software that allows customers to create their own search solutions with our robust and optimized software packages built around Lucene. For more information on the different software packages and downloads, please click here. Our professionals make recommendations to complement your existing infrastructure, budget, and time constraints. We strictly follow best practice techniques in the analysis, design, implementation, and quality assurance phases of the Lucene search cycle. We provide a variety of web analyses and development services to allow your organization to take full advantage of open source for search solutions to resolve complex problems.